This surreal puzzle platformer for PS4 places you in the shoes of Richard. With no memories to call your own, you must explore a strange landscape in search of both answers and the reason behind your sudden arrival. Should you take this journey with Richard, or leave his fate unknown? Let's find out. Unknown Fate treats you much like it does Richard. Neither of you know anything when you begin, and it’s not until the end that you really get a chance to start piecing everything together. For some this may be frustrating, but I liked the mutual mystery throughout the 4-hour adventure. The world of Unknown Fate is like a colorful fever dream. The pieces of it are clearly influenced by Richard’s memories, with gigantic versions of everyday objects like books, lightbulbs, and cables jutting out from the landscape. From a story perspective, you’ll interact with strange beings throughout your journey. They often give you conflicting advice, making it hard to know who is lying and who is telling the truth. Other than that, collectible shards off the beaten path will take you into one of Richard’s memories. These moments, both optional and scripted, change everything to a black and white color palette. It’s a stark contrast, but it makes it easy to see when you’re in a flashback. The use of bold text conveys some story here, but it would have been nice to have that text stand out more for readability as it can often fade into the environment. I would have taken a page from Frank Miller’s book and made it bright red personally. The story itself and the ongoing mystery is actually quite interesting, but it’s brought down by some very average voice acting. Richard himself feels very uninterested in the events, with very little emotion or convincing acting to back up his state of mind. Despite the voice acting, I still felt compelled to keep pushing forward to see what bread crumbs would offer more narrative next. This brings us to the gameplay. The entirety of the title is played in first person, which requires you to solve simple puzzles and leap across precarious platforms. Now, I’m normally someone who doesn’t like platforming in first-person, but it works okay here. The problem is that you can’t gauge your location in this perspective, so you never know if you’re going to overshoot or land. Unknown Fate is pretty forgiving in this regard, but some situations, like timed platforming, can become frustrating. The puzzles themselves often boil down to using an artifact on your hand to fire projectiles or manipulate aspects of the environment. Hitting targets with the projectile is fine, and the manipulation works well too, but Unknown Fate also works in some light combat that doesn’t quite fit. Enemies will swarm toward you, requiring you to use a flash to stun them and then projectiles to hit their weak spot. It’s fine 1-on-1, but when three or more swarm you it can become too chaotic. The aiming isn’t accurate enough to really hit the small weak spot on their tail, so the whole thing just comes across as clunky. Thankfully, these encounters are pretty rare. While the puzzles themselves are largely pretty simple, I still enjoyed interacting with the world and looking for collectible memory shards while I tried to piece everything together. Unknown Fate’s surreal art style and unique character designs really made the game stand out for me. Animations feel pretty smooth and the gameplay is largely very polished. On one occasion I was swarmed by enemies and killed repeatedly until my screen went black and I had to restart, but this didn’t happen again throughout my playthrough. Overall, Unknown Fate succeeds in creating a surreal and visually attractive world that I enjoyed exploring. The gameplay leaves a bit to be desired such as better combat or harder puzzles, but the overall package here is something that stands out from the massive list of titles on PS4. On more than one occasion, my jaw dropped as something truly insane crossed into view, like a giant spider with a light bulb for a body. 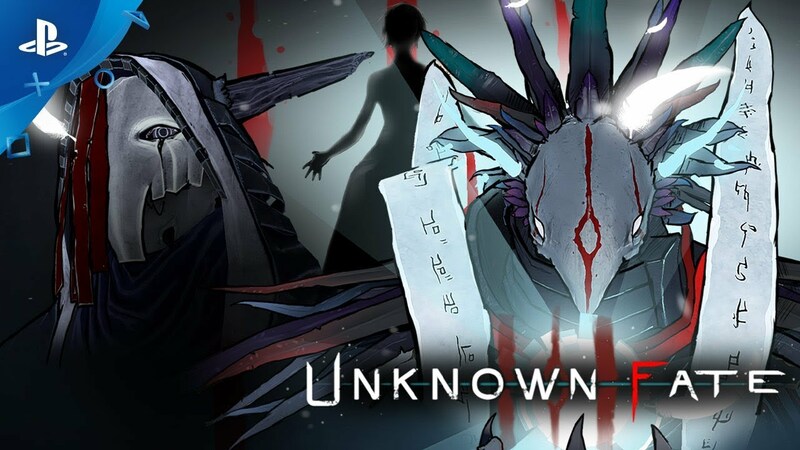 If you’re looking for something different than anything else you’ve played recently, Unknown Fate is worth a look.